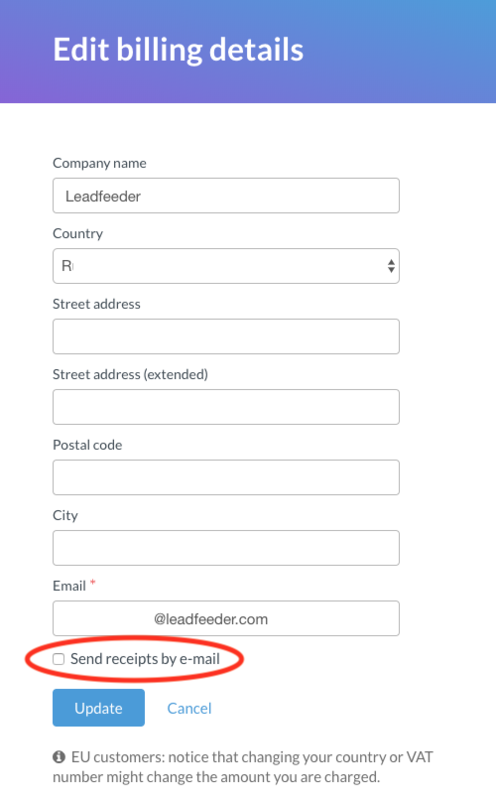 You can choose to receive your monthly or annual receipts for Leadfeeder Premium payments to your email. NOTE: You need to have Full Access (Admin Rights) to change the billing settings. 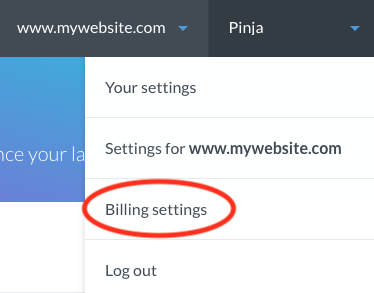 STEP 1: Navigate to your billing information by clicking your name on the right upper corner and selecting Billing settings from the menu. STEP 2: Click on Update. STEP 3: Select the checkbox for Send receipts by e-mail and click Update. The receipt will be sent to the email in the form.